Halloween is never an easy time when you’re trying to avoid empty calories from candy and sugary snacks. That goes double when you’re pregnant! But just because it’s Halloween time doesn’t mean you have to succumb to your sweet tooth. These healthy alternatives are safe for expectant mothers and can help you beat those cravings for chocolate and other sweets. Sure, it’s hard to resist a bite-sized Snickers when you’re aching for something sugary. But if you’re trying to eat healthily, there are lots of alternative snacks that will deliver the sweetness you’re looking for. The great thing is that these snacks are also giving you and your baby the nutrition you both need to thrive, without a bunch of excess calories. These recipes will make trail mix packed with vitamin D, magnesium and calcium, all nutrients crucial for a healthy pregnancy. And while this trail mix certainly isn’t calorie-free, it’s light years healthier than store-bought candy. A sweet treat that’s bursting with sugary goodness but healthy for both a mom and her baby is a mix of Greek yogurt and fresh fruit. Greek yogurt is filled with calcium, which helps your baby’s bone structure develop correctly. Pair the yogurt with strawberries, peaches, blueberries or whatever other fruits you most enjoy for a healthy and delicious snack. While you’re passing out candy, if you want to avoid the temptation to dip into the bucket of candy, make a snack of sweet and filling peanut butter and banana. This pairing offers a perfect complimentary mix of flavors, both sweetness and nutty peanut butter goodness. And peanut butter offers a good dose of protein, which you’ll need for your baby’s development. Rather than eating a candy bar or pack of Skittles, go for delicious sorbet topped with fresh fruit. Sorbet is similar to ice cream, but without all those extra empty calories, and the fresh fruit topping will give you a good source of fruit nutrition, making sorbet and fruit a snack that will be satisfying and healthy. You’ll be better able to resist cravings for candy if you’re satisfying your sweet tooth another way. One clever blend of fruits is mixing watermelon with lime. Chop up some watermelon and put it in the blender with lime or lemon juice, then after blending, strain the mixture through a fine sieve for a refreshing beverage. The mild sweetness of the watermelon is accented nicely by the tartness of lemon or lime, and every cup of watermelon has over 150 mg of potassium, a nutrient vital for a healthy pregnancy. Sensing a theme here? Fresh fruit is the closest thing you can get to candy in terms of sweet deliciousness while providing you and your baby with beneficial vitamins and minerals. Cottage cheese is a wonderful source of both calcium and protein and is also pasteurized and so safe for your baby. Pair a fruit like blueberries or raspberries for a touch of sweetness to go along with it. 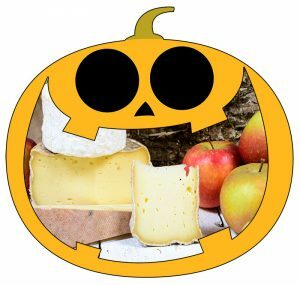 A variation on the theme of cottage cheese and fruit is the pairing of a hard cheese like cheddar or Swiss with some apple slices. Apples are full of fiber and low in calories. With cheese and apples, you’re getting a great source of both calcium and fiber in a sweet package. 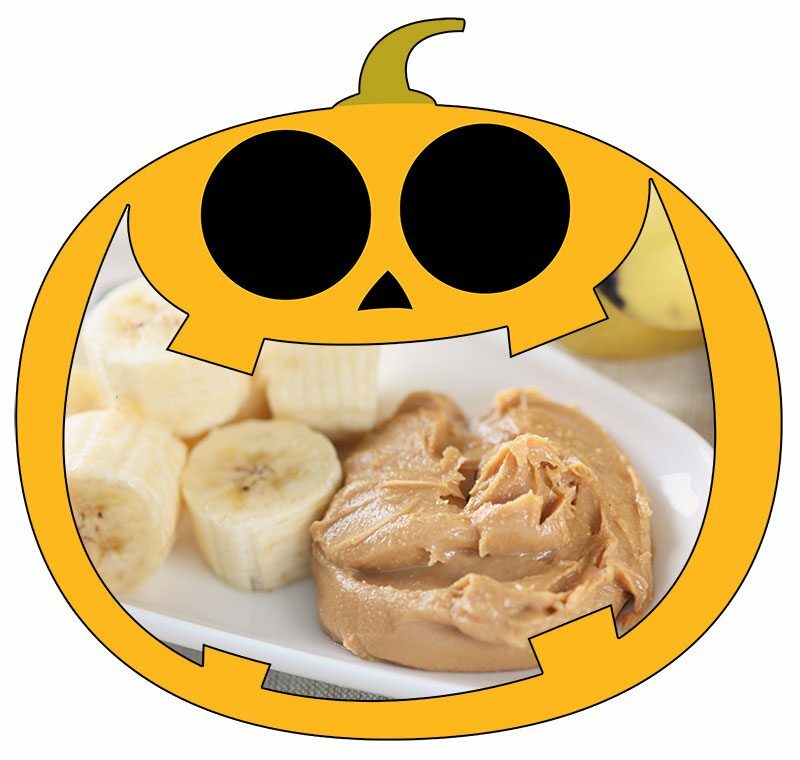 These next few snacks aren’t anywhere near as sweet as Halloween candy, but that doesn’t mean they can’t be a wonderful substitute for an unhealthy candy snack. A full stomach can go a long way in fighting cravings for sweets, and these options are healthy and delicious. Guacamole is rich, delicious and contains a good amount of potassium. Make sure to buy or make low sodium guacamole, as sodium can contribute to swelling during your pregnancy. If you’re looking to go low calorie, dip carrots, cucumber or celery into the guacamole. But if you can’t resist tortilla chips, try to find low sodium versions of those as well. Sweet potato chips are a far healthier version of regular potato chips, and they’re even better when you’re pregnant. 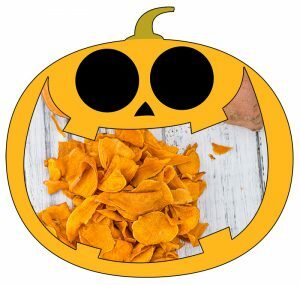 Sweet potato chips are packed with potassium and magnesium, which helps control your blood pressure. Controlling blood pressure is important in avoiding a number of potential complications in your pregnancy, so snack on sweet potato chips rather than on sugary snacks. Sometimes, to avoid eating something unhealthy and high in calories, it helps simply to have something low-calorie to snack on. Popcorn is extremely low calorie unless you load it up with butter. Make your popcorn at home and go light on the butter and salt for a low-cal treat that will give you the willpower to lay off the candy.